This backpack contains a lightweight, extremely flexible back system with three-sided ventilation, flexible Vari Flex hip fins. Thus, caused a lot of convenience and flexibility. There are two zippered pockets, which are used for valuables or camera on the hip belt. The pull-forward adjustment of the hip belt is effortless to pull and easy to adjust allowed. 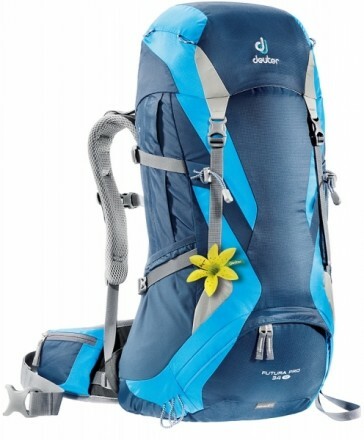 The back system includes anatomically shaped shoulder straps, hip belt and a lightweight round profile frames. Additionally, it is equipped with lateral compression straps and a supportive back mesh.